Workout Wednesday: Advocare 24 Day Group Challenge! So it’s been 7 months since I did my last Advocare 24 Day Challenge, and I’m getting ready to do another on September 5th. This time I am teaming up with fellow bloggers Samantha from YOUNG FAMILY OLD HOUSE and Jenny from JENNYCOLLIER.COM to host a group challenge. Both of these ladies had amazing results on their first challenges and are ready to give it another go! We are inviting YOU to join us too! Not only will the three of us be there doing it along side you, but we are setting up a private Facebook Group for all the Challengers. We will be there to answer all your questions, share clean recipes ideas and meal plans, give workout tips, and most importantly be there for encouragement and support. You are probably wondering why I am doing another one when I have already reached my goal weight. That is the amazing thing about these products….they are good for you!! Whether you want to lose weight, up your energy, clean your system, tone up and see definition, or just improve your overall health and fitness, you will achieve that during the Challenge. Also, husbands….although they may not be reading my blog, get them to do it with you! Greg and I really enjoyed working together, trying new meals, taking our supplements, and finding time to exercise together. It was actually Jenny’s husband’s photo that initially sparked my interest. He did his first challenge and had such great results that Jenny gave it a try shortly after and lost 8% body fat and was able to get back into her skinny jeans after having two babies. They are the reason I started Advocare and I think I thank her every time I talk to her for sharing their experience. 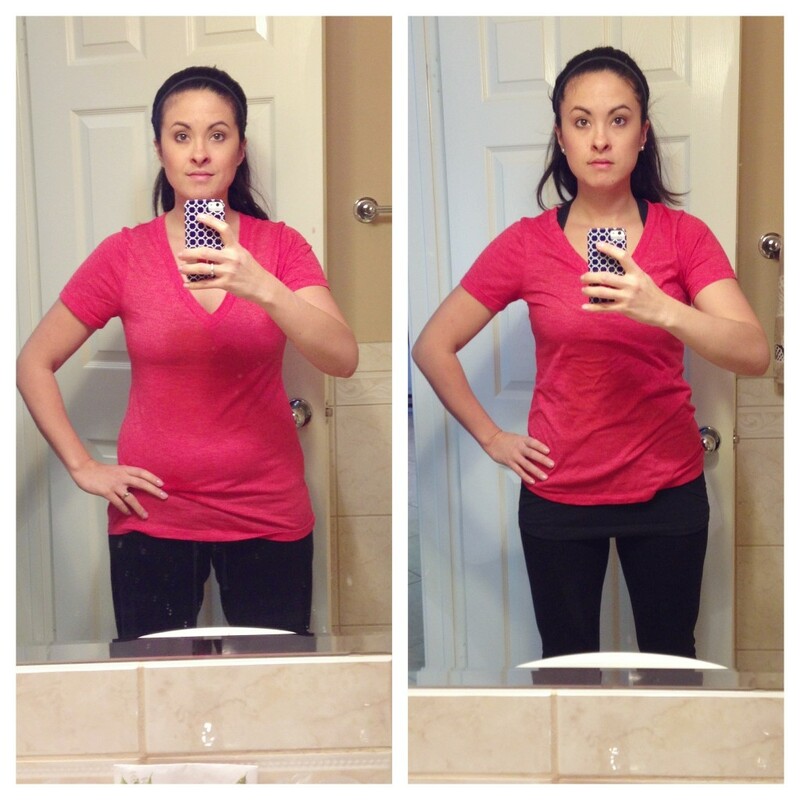 Samantha also had awesome results, but is ready to take things to the next level as well on her second challenge. She’s recently taken up running too so I know the combination of the two is going to be amazing. She is a mama of 2 little boys the same age as Nathan and Shane and I’m excited to see what happens since she already looks so fantastic. Here is a quick breakdown of what to expect during the course of the 24 days. The Cleanse Phase is designed to help rid your body of toxins and prepare your body to better absorb nutrients. This isn’t the kind of cleanse where you drastically reduce calories or consume only liquids. You get to eat, and quite often too! During the Cleanse Phase you will use the Herbal Cleanse Kit, Spark and Omegaplex. NO alcohol, coffee or dairy are to be consumed during the 10-Day Cleanse, but you will be able to eat 3 clean meals a day and 2 clean snacks. 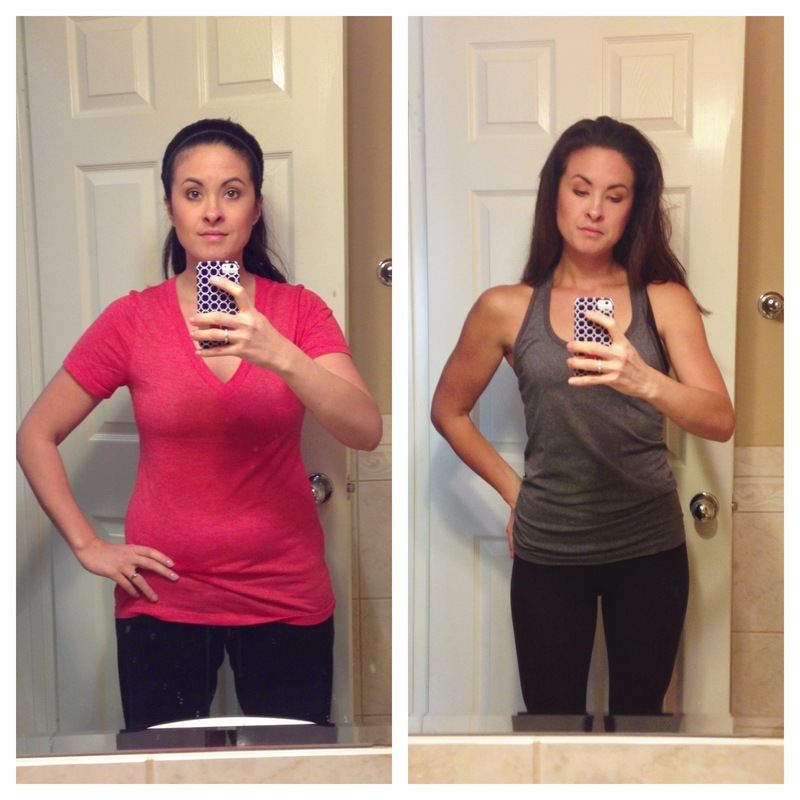 Average weight loss during the cleanse is 5-10 pounds. MNS E - Geared towards keeping your energy up and revving your metabolism as you continue to lose weight. MNS 3- Geared towards overall wellness, energy, and appetite control. MNS C- Geared towards maximum appetite control. The MNS Max 3 is what I recommend for receiving the best overall results, especially if you are looking primarily at weight loss. The overall weight loss you can expect on average falls between 10-15 lbs total in 24 days! The system alone will work wonders. Pair it with some exercise and be prepared for even more amazing results. Do a quick Google image search of real before/after photos and I think you will be blown away. Do you remember this photo? These were my results just 14 days in! 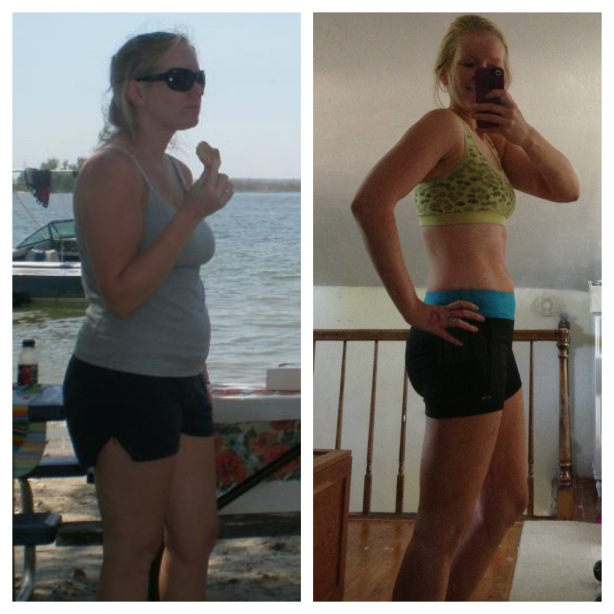 This isn’t a fad diet, it’s an experience that can truly change your lifestyle if you let it. If you have been on the fence about starting the 24 Day Challenge, this is a great time to join us. The support system will be so helpful, and you will have access to help anytime you need it. Not to mention the great tips, recipes and encouragement you will receive from those of us who have successfully done this before! Click HERE for everything you will need to get started. I will then contact you with additional information and will send you an invite to our Facebook group. Again the official start date is September 5th, but if you are anxious to get started sooner (I know I couldn’t wait), you can definitely go ahead and we can still have you be part of the group! There is already a good size group that has formed and we hope you decide to join us. If you still have questions please contact me at heylaurenrene@gmail.com. I’m really excited to get this group challenge started and would love to have you be a part of it. Remember this…”A year from now you will wish you had started today.” Come join us! A year from now you will wish you had started today — YES! So true, and I can’t wait to do this next challenge together! I’m excited too!! I can’t wait to see your results this time!! Your latest before and after is amazing!!!! You just motivated me to get back to my program. HARD! You look incredible! I really need to get back in the game with eating right and working out. Congrats!! Thank you so much Becca! It’s so hard to find the time with two littles but I know you can do it (even harder when they cry at the gym). Have you tried clean eating before? It really has made such a difference and becomes pretty simple after you have done it for awhile. Good luck mama Im sure you will do great! Lauren you look AMAZING. All your hard work has really paid off. I’ve totally slacked off the past two months and I need to get my act together. I’m not sure if the supplements etc are allowed into Canada, do you know? I need to get motivated to start working out again, not just running, but the eating part is the most important. Hi Ana! You look great but I definitely understand getting into slumps…it happens to me all the time! Unfortunately they don’t ship outside of the US yet I’m really hoping this changes..I have had a lot of people interested from other countries. If you want to join our facebook group just to stay inspired to eat clean for 24 days just let me know! Wow! Amazing results! What about breast feeding moms? I would love to do something like this to jump start losing baby weight, but I’m wondering if its possible while nursing. If you are interested in doing the breastfeeding plan please let me know and I will e-mail you exactly what you would need (you don’t purchase the same bundle as everyone else). I would be happy to help you out! I nursed both my boys until 13 months and wish I had known about this then, it would have made the weight loss much easier after I weaned them. Thanks for your kind words and look forward to hearing from you! Am SO excited! Very much need this right now. Btw, you look AMAZE in your last picture. Can’t even imagine what your results will be like this go round? Six pack? I think so! We went to school together many, many years ago and a coworker turned me on to your blog! Love all your tips and appreciate the motivation in any form I can get it! I am interested in the 24 Day Challenge but curious if these products contain caffeine? I am unfortunately very sensitive to caffeine so before I investigate further I thought I would ask! Kristin!!! How are you? It’s been a very long time :). What a small world that a co-worker showed you my blog!! I hope you are doing great! I will email you more info on this. Be on the lookout. Great to hear from you. 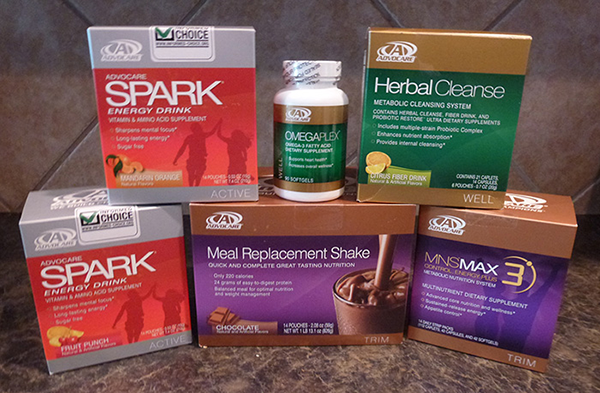 What Advocare products did you continue to use after you finished your first challenge? ?